I am really enjoying this series. I have had a copy of this book for a long time. I had planned to read it around the publication date but for some reason it didn't happen. I am glad that I was able to get to it now because it really is a great story. 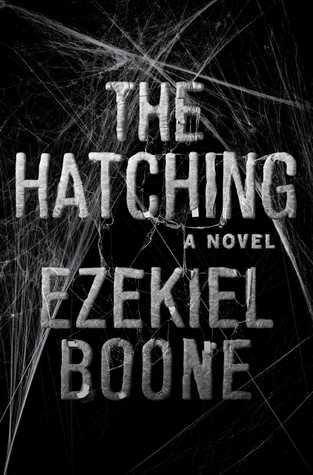 This is the second book in the Hatching series which is a series that really does need to be read in order since this is a continuation of the story from the first book. I ended up enjoying this book just as much as the first book. I really like the way that this story is told. I don't think it would work for every book but it does work well with this story. We get to see the outbreak from a lot of different points of view instead of following only a handful of characters. Sometimes we get a point of view and never encounter that character again. Other times, we get to see a point of view at various points in the story. All of these points of view helps to really paint a picture of the outbreak across the globe. The spider outbreak in the first book was bad and many had hoped that would get better. It looks like it might be getting better. The spiders seem to have died off a bit and the pods are being taken care of. Unfortunately, things can get worse. Much worse. The spider outbreak takes a turn that is truly frightening and it was really interesting to see how things were developing and how the key characters would deal with it. This was a really exciting story. I couldn't wait to see what would happen next with the spider outbreak and was also eager to find out what the authorities would decide to do to handle things. I couldn't imagine being responsible or having people look to you for answers during a time like this. Whenever I had a guess about how things would go, I would quickly find out that I was wrong so I just kept turning pages to enjoy the story. I would recommend this series to others. This creepy crawly story was very original and entertaining. I ended up most of the book in a single evening because I had to see how things would work out. 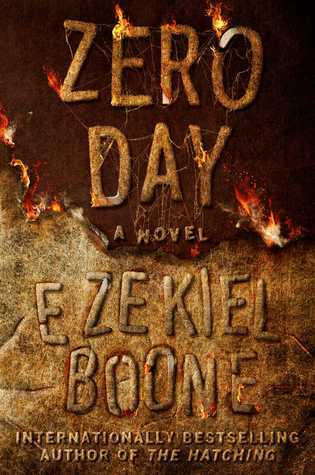 I am really excited to start the next book, Zero Day, very soon. Spiders aren't really my thing, but I still think there's something creepily fascinating about this book. Glad you loved it and that you are quite excited to start the next instalment, Carole! 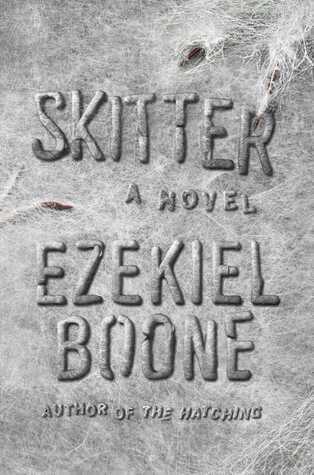 Spiders don't bother me so I really enjoyed this story. I need to read books 2 and 3 after really enjoying the first one. I also love how the covers all tie in - at least there was no cover change. Glad to hear you enjoyed this one! I do like the covers. They all work together and are simple yet creepy. I need to read these books. I like scaring myself with spider stories. I'm just a bit put off because of the covers that actually HAVE spiders on them. I can't even look at them! It is hard to know what to expect with this story. Jeez, these are some persistent spiders! This does sounds super creepy, and you know I love those kinds of reads. 😊 Glad to hear that series keeps getting better and better. These spiders seem to have an agenda. My cats would love a spider outbreak but me? Notsomuch. My library only has this book in the series. Why would they do that to me?! I enjoyed this series. Especially the first book. The second and third one didn't have as much spider action as I'd like, but sure had some fun character's. This book was pretty equal to the first book for me. I can't wait to start the third one soon. It's interesting you bring up that roving POV through many characters and even characters that are a one and done. I wonder if it works because its 'end of the world' stuff. I enjoyed how Nora Roberts did it in her recent Year One, too. I really liked all of the different points of view. Maybe it is something about the end of the world that makes this work.